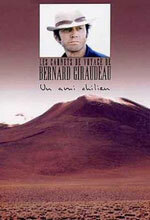 Bernard Giraudeau was born in 1947 in La Rochelle. He has had an extraordinary career, working in the French cinema as an actor, filmmaker, and director of documentary films. He spent his childhood in La Palice. His father, a military man, was often absent. Bernard Giraudeau joined the national navy at 15 out of a desire to see the world. After sailing around the world twice, he had several odd jobs before entering the Conservatory in 1970 where he obtained the first prize in both the classical and modern repertoires. He first appeared in a crime film in 1973 with Jean Gabin and Alain Delon, Deux hommes dans la ville. At the start of the eighties, the adventurer played the blue-eyed seducer in popular comedies, against sometimes gruff, sometimes mysterious but always-attractive characters. In 1983, the noir film Rue Barbare marked a turning point in Bernard Giraudeau’s career, indeed, he progressively went from playing the seducer to playing more sombre roles. He started cutting back on his cinema work, but continued acting for the theatre. He turned to behind-the-camera work and continued to express his passion for traveling and adventure. 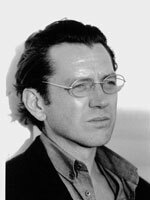 Strangely enough, it is while putting on L’Autre in 1990 and Les Caprices d’un fleuve in 1996 that Giraudeau played his most impressive roles for the cinema for Nicole Garcia first in 1994 in Le Fils Préféré before Patrice Leconte and Ridicule in 1996 and Une affaire de goût for Bernard Rapp in 2000. Giraudeau now tends to prefer more ambiguous roles than when he started. He chose to act differently with Raoul Ruiz or Chok Dee, as well as in La Petite Lili for Claude Miller. An actor who has been rediscovered by the public, Giraudeau’s career has entered into its second phase. And for the last few years, the reading public has been able to discover his storytelling talents as demonstrated in his Les dames de nage . (Unpublished translation) I am in game pause mode, lying on my back, eyes closed. I know that your elegant, slender, agile hands will harmoniously pick up my letters, unfold them and hold them as though they were a partition, your most precious treasure. The hand that pushes back a stray lock of hair will remain aloft as you carefully read the revered words of the indefatigable traveler who has chosen to take up residence in your garden. I have loved you for so long, since before the beginning. These letters that could go on indefinitely chronicle my geographical peregrinations as well as all those journeys I undertake while firmly anchored on the stage. You might consider this a sort of more complex, more daring or more desperate expedition. It has been said that one never returns from a journey. Will you take the time to read me so that I can continue to exist ? Bernard Giraudeau, with his talent for describing all the nuances of emotions, embarks readers, together with the mysterious lady he is trying to seduce, on a journey to imaginary places born of an adventurous mind and a strong will to live and love. Non sailors are much like lost seamen ; they travel to indescribable adventures. Jean-Paul accompanies his father to Hô Chi Minh-Ville, and meets someone who has not forgotten his war in Saigon. In Brest, a sailor tells his story to a very young woman but it is she who will leave. Billy is not an ordinary sailor and the lady from L’Iguaçu knows it. In Lisbon, Diego the shipwrecked Angolan fishes while waiting to go back to sea to dream of his love for the engine room. In La Rochelle, Pierre buries Jeanne, a tender woman who knew of the melancholy of trips, the happiness of returns and the eternity of love. Giraudeau has written here in his own inimitable spare, precise and poetic style stories of characters becoming alive through confrontations with adventures, the elsewhere and the ephemeral eternity that comes from the sea.